Serving the country means you must sacrifice time with loved ones which can be extremely difficult. It can also mean leaving a job you love when you are deployed. Returning from deployment can be difficult. In some cases, the job you held may no longer be available or you may be unable to focus on your work after dealing with the stress of a deployment to a war-torn foreign country. These four tips can help you refocus and, not only return to your job, but build a thriving career. In the military, your skills and strengths were used to provide a particular service that was necessary as part of your deployment. The work you did while you were deployed translates into job skills. Get a copy of your Verification of Military Experience and Training to review any specific training you received that may translate into the civilian workplace. Review the things you did while you were deployed. There may be skills you used in the military that could be helpful in a different career than the one you held before deployment. As a member of the military, you have access to the G.I. Bill which will provide you with assistance to further your education. Take advantage of the opportunity and work toward a degree or certificate such as an online degree in American history that can improve your standing with future employers. You can also take advantage of the Transition Assistance Program offered through the military who will provide you with referrals to jobs, recruiters and counseling in your area. Your military connections can be critical in helping you find a new job or advance in your current career. Reach out to former supervisors or commanders to see if they can help connect you with employers in your area who are looking for people with your expertise. You can also reach out to trade organizations in your industry to build a network. Your local American Legion or Veterans of Foreign War organization may also have information available to help you build your career. 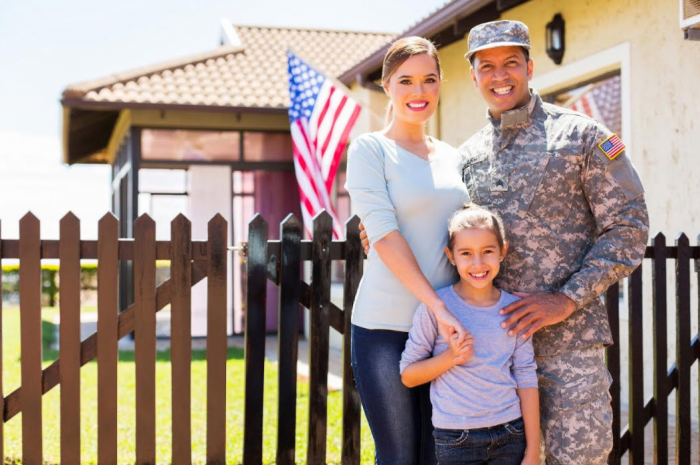 These organizations as well as the Military Officers Association of America, Marine for Life and the Enlisted Officers Association offer many tools to help you transition back into civilian life. You want to set the bar, but you don’t want to set it too high. Decide what type of job you want and what you feel is a good salary range. Do research to determine what an average salary is in your area for the job you want. If you find you are not successful, review your requirements again to see if your expectations are too high. It is possible you may have to lower your salary expectations initially or you may need to relocate to meet your salary needs. Flexibility in job search is often critical. If you recently returned from deployment, these tips can help you return to your job seamlessly or could help you move into a job that will lead to a thriving career. Your military service is a benefit to many employers, so be sure to use the skills and knowledge you gained during your deployment to make yourself irresistible to potential employers.